This blog post will explain how you can model your iFlow to insert and update data in your Custom Business Object. As a prerequisite you should read blog post https://blogs.sap.com/2017/05/12/usage-of-odata-service-of-custom-business-object/. The iFlow consists of 8 steps for mass data coming in through a SOAP service and mapping to the OData service of a custom business object (CBO). Each step is explained in detail. 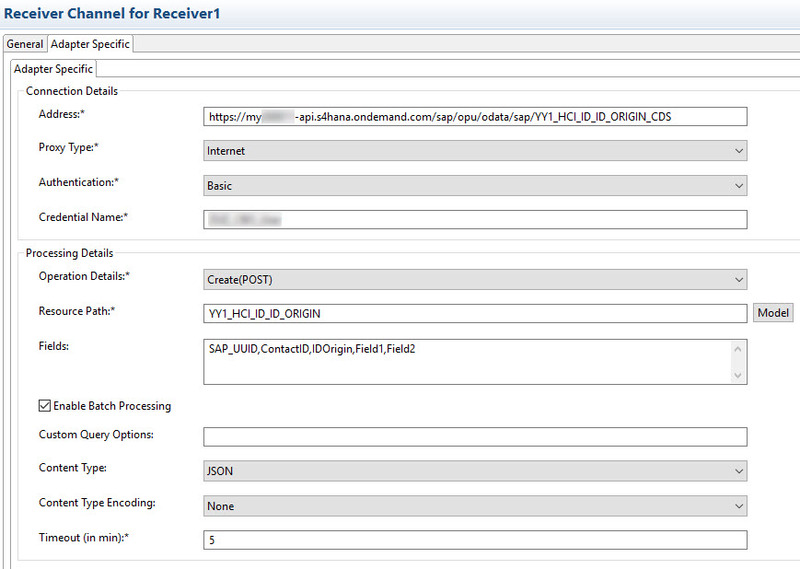 To update or delete an entry, the SAP_UUID as technical key is needed. Therefore for each entry the SAP_UUID is enriched in a local integration process, if the entry already exists in the CBO. In the last step of the local integration process all calls are gathered and enhanced by an overall tag <All>. The overall tag is needed by CPI for further XML processing. The last step of the whole integration flow maps a chunk of 1000 to batch processing of the CBO OData service. All entries are added to one changeset to allow a mass processing on SAP Hybris Marketing side. Putting each entry to an own changeset would be processed like single record processing. 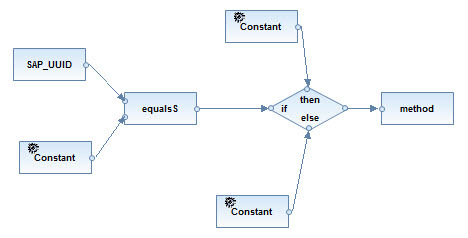 The tag <All> is mapped to the tag <batchParts>. The target tag <batchChangeSet> gets an empty constant assigned to create the tag. The tag <YY1_HCI_ID_ID_ORIGIN> is mapped to the tag <batchChangeSetPart>. The target tags <method> and <uri> have a complex expression based if the entry needs to be created or updated. The target tag <headers> is not needed and therefore disabled. The target tags <YY1_HCI_ID_ID_ORIGIN> and <YY1_HCI_ID_ID_ORIGINType> get an empty constant. 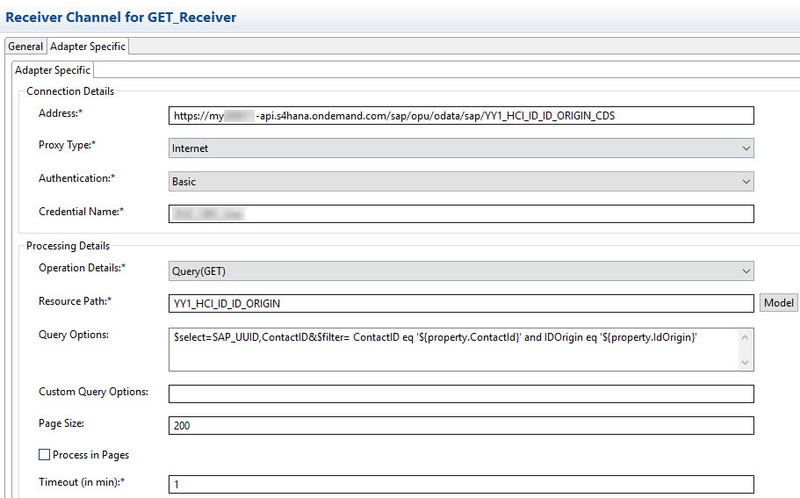 The target tag <SAP_UUID> has a complex expression. The fields ContactID, IDOrigin, Field1 and Field2 are mapped directly from source to target. The timeout is configured with 5 minutes as this is the normal runtime in SAP Hybris Marketing system. Previous SAP Transportation Management 9.5 released!